Limit 1 per family. Valid on professional appraisal for 1 piece of jewelry while you wait. By appointment only. Promotional value expires 30 days after purchase. Make sure your most precious pieces are as dazzling as fireworks with 50% off professional jewelry appraisal at Jjanusz Custom Jewelry Design in Hoffman Estates ($50 value). An experienced appraiser will evaluate the condition and worth of one piece of jewelry while you wait and provide documentation for your records. World-famous artist and designer Janusz Goralski opened this studio more than eight years ago to bring his old-world craftsmanship to the community. For more than 40 years, Janusz has created beautiful and unique pieces for other jewelers, and he has even created custom pieces that are on permanent display in several museums. 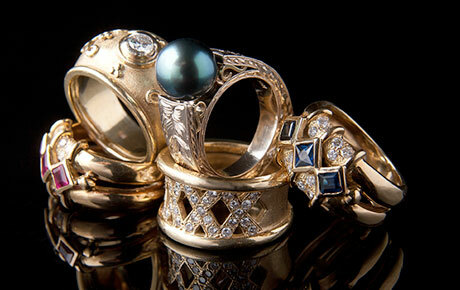 Today, his jewelry design studio specializes in one-of-a-kind creations and expert appraisals. Discover hidden treasure with this gem of a deal.